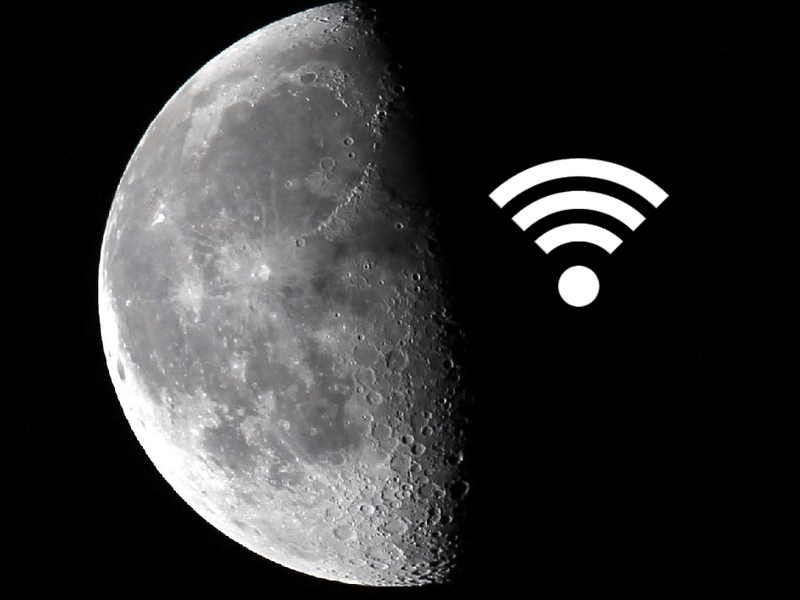 Scientists at MIT and NASA last week beamed a wireless Internet signal across the 384,500 kilometers between the Earth and the moon. The team succeeded in firing up one of the fastest internet connections in the world, transmitting data at the rate of 19.44 megabits per second. Once the data was transmitted to the lunar satellite orbiting the moon, they were able to download data from the moon at a rate of 622 mbps, 4,000 times faster than radio transmission speeds currently used to send information between Earth and the Moon. It’s doubly difficult going through the atmosphere, because turbulence can bend light. The atmosphere bends the laser beams and that’s why four telescopes are used to beam lasers through different columns of air, to increase the probability that at least one will hit the receiver on the lunar satellite. The lunar satellite has its own telescope, which collects the laser beam sent from Earth and focuses it into an optical fiber. A photodetector is then used to translate the pulses of light into electrical pulses and then they are converted to data. The technology will eventually be used on deep-space missions to Mars and other planets. If future generations live or work on the moon and space, scientists say, the internet connection would allow them to keep in touch with family and friends back on Earth. The team will present its full findings on the research trials on June 9 at the CLEO laser technology conference in California.